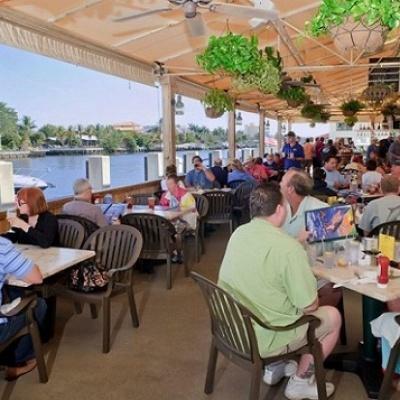 Two Georges is a favorite restaurant in Boynton Beach and in Deerfield Beach, Florida, and there are two locations for this restaurant. 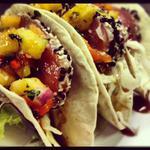 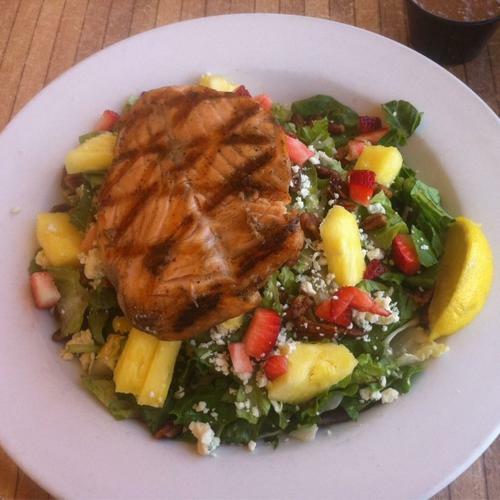 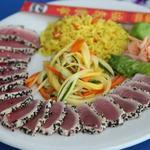 You may dine at both locations with a 60% off dining certificate from CharityDine.com. 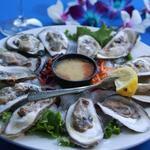 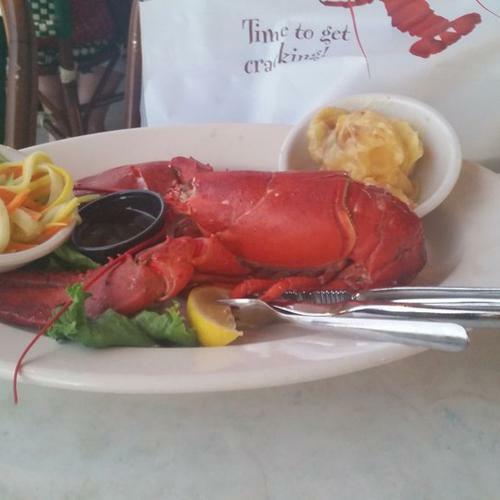 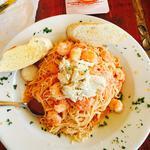 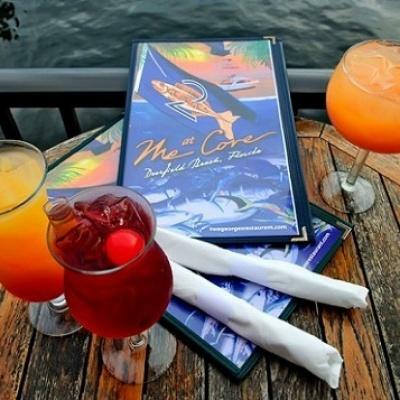 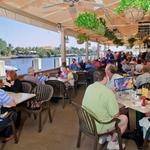 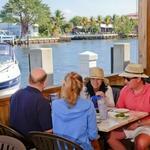 It offers live music, delicious fresh seafood, and a famous happy hour. 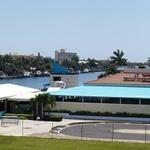 The location in Deerfield Beach, Florida is located in the Cove and it has an amazing waterfront view. 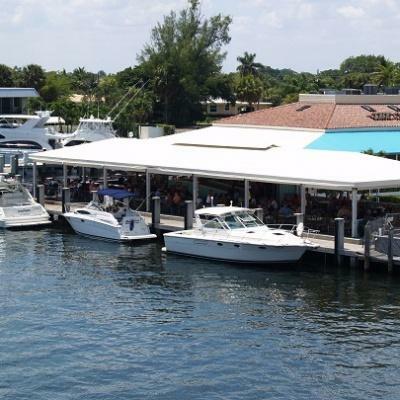 The restaurant can be accessed by both car and boat, and the property was purchased from The Cove after the restaurant served the area for 34 years. It has long been known as one of the most popular restaurants in the area, and the new owner of the restaurant made many exciting changes and brought on an enthusiastic staff. Two Georges at The Cove offers a unique atmosphere and fresh high quality seafood. 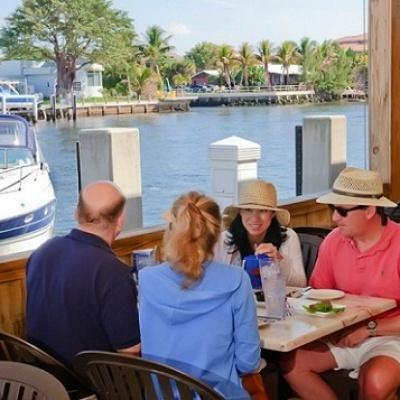 There are few restaurants that offer such a proximity to the water, and it is the perfect environment for a family meal. The happy hour is known for being one of the most popular in the city and it features a wide range of discounts on cocktails, beer, wine and appetizers. 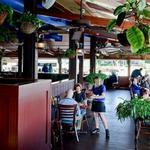 The bar area and the indoor area are both very spacious, and the view is amazing. 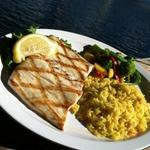 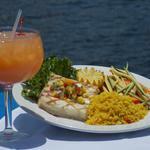 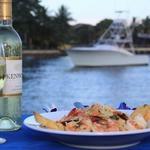 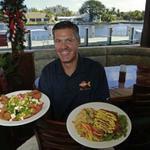 If you are out boating there is over 300 feet of dockage nearby and the restaurant is conveniently located. 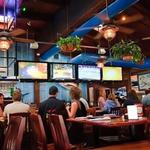 Both bars have large flatscreens so it is also a great place to catch your favorite sports events. 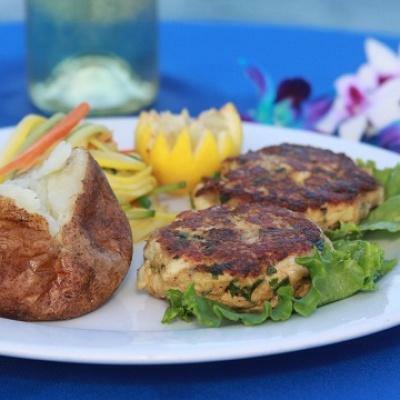 Special events can be hosted at Two Georges and the restaurant features extensive seating and an extensive menu that is sure to please any group. 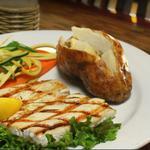 Sit down dinners can be customized for your party, or you can have your event catered. You can create your own menu ahead of time, and it is the perfect venue to hold a banquet, corporate event or other event. 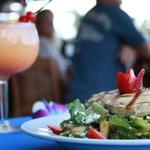 There is an extensive appetizer, salad and soup, sandwich, early bird, entrée, kids, lunch and dinner menu available. 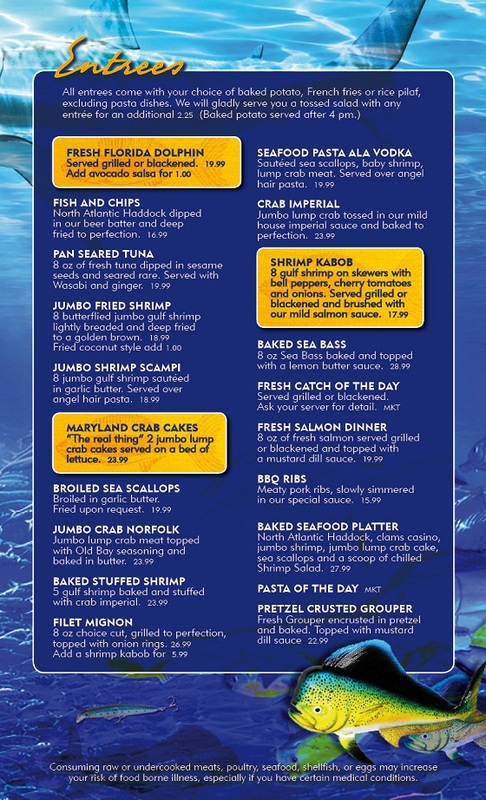 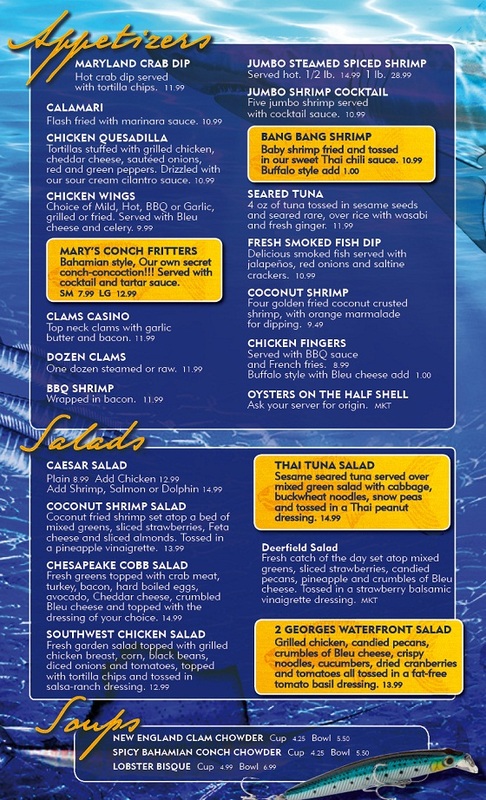 Appetizers include clams casino, chicken quesadilla, calamari, chicken wings, crab dip, steamed shrimp and more. 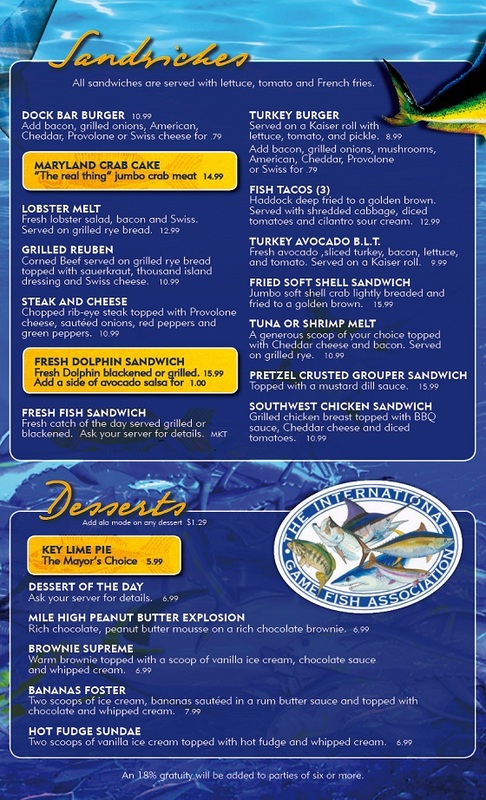 Popular sandwiches include the dock bar burger, crab cakes, steak and cheese, dolphin sandwich (made with mahi mahi), lobster melt and other local favorites. 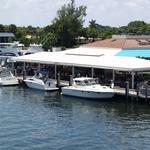 Two Georges at The Cove as previously mentioned is a local favorite. It’s a popular option for both tourists and locals, and being in a prime location right on the water there are very few restaurants that can offer the same ambiance and quality. 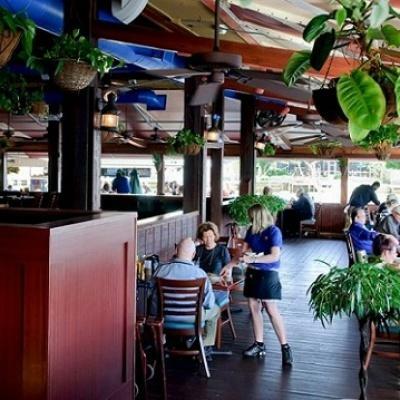 It’s the perfect place to take visitors from out of town to, and the happy hour is one of the most popular in the city. 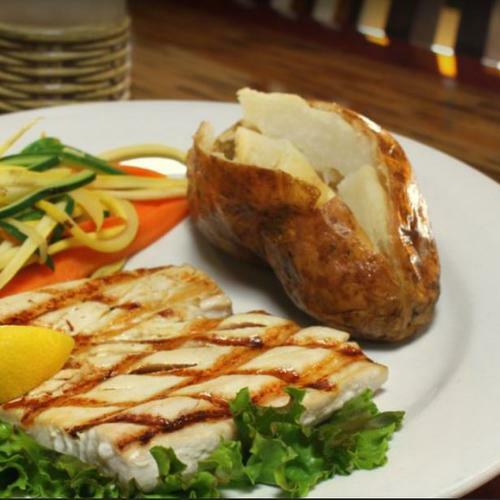 The restaurant is also a favorite spot to celebrate special occasions, and it features a wide range of healthy entrée options. 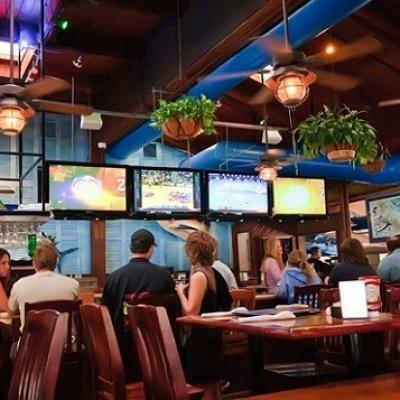 Being affordable but also offering a unique upbeat atmosphere, many patrons visit the restaurant frequently, and it is a great place to see live sports. 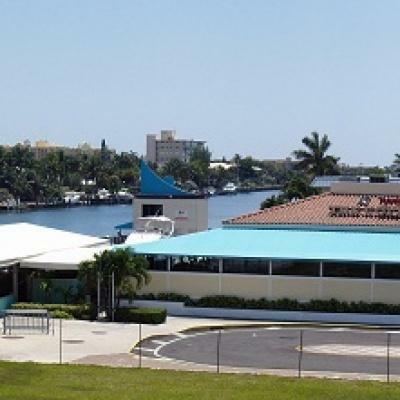 Although the restaurant can often be busy because of its popularity, it is a great spot for a quick lunch or dinner in Deerfield Beach, and visiting is a must if you travel in the area. Your purchase of a Charity Dine gift certificate for Two Georges in Deerfield Beach will allow you to enjoy some of Deerfield Beach's best dining at a terrific discount while a charity benefits from a percentage of your certificate purchase.